If you have ever wondered what it would be like to test your firearms training and shooting skills in a realistic setting, then Bristlecone’s upcoming Shoot House Scenario Day – on Sunday, Sept. 24th — is for you. 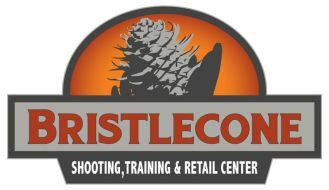 The Bristlecone Shoot House is a scenario-based, firearms training class that incorporates the latest firearms training techniques available at the civilian level. Past students have described them as realistic, fun, and educational. These classes allow students to test how they deal with rapid information processing and decision-making with a firearm under stress. At Bristlecone, we use Simunition®-converted live firearms and corresponding ammunition, protective gear, holsters and other environment-specific aids to give students a safe and realistic experience. While undergoing this training, our students get a practical sense of their responses to concealed carry situations when their adrenalin is high and they must use their previous training to respond. The Bristlecone Shoot House is a 360° environment designed specifically for Scenario-Based Training with realistic, live Simunition® firearms and ammunition. It gives students an opportunity to hone their skills in a venue that approaches real-world conditions. The Bristlecone Shoot House has moveable walls, furniture, and appliances that can be arranged to create many scenarios for students to experience. A Shoot House training experience is both dynamic and realistic. To participate, you will need to wear range-appropriate clothing including long-sleeves shirts and hoodies (no shorts or open-toed shoes). No personal firearms are required as we use Simunition® firearms and ammunition for this class. The cost for registration is $200. To register or learn more, visit Bristlecone’s Shoot House page or call 303-985-0989.